In space, no one can hear you scream from getting a paper cut! 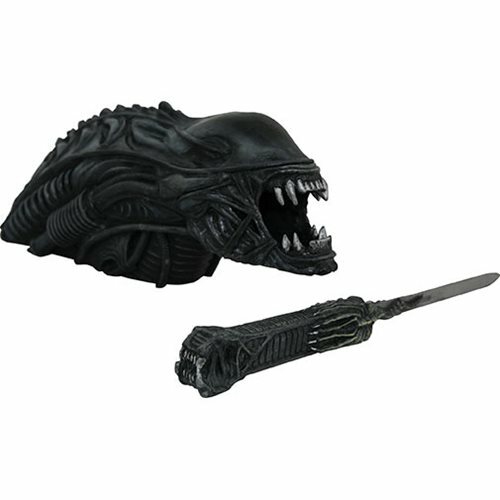 That's because everyone up there has the Alien Xenomorph letter opener, a resin Warrior Alien head (from Aliens) with a removable tongue, which holds the blade of the letter opener. Open all of your official Weyland-Yutani communications with this horrifically stylish office essential! Packaged in a full-color box. Ages 14 and up.